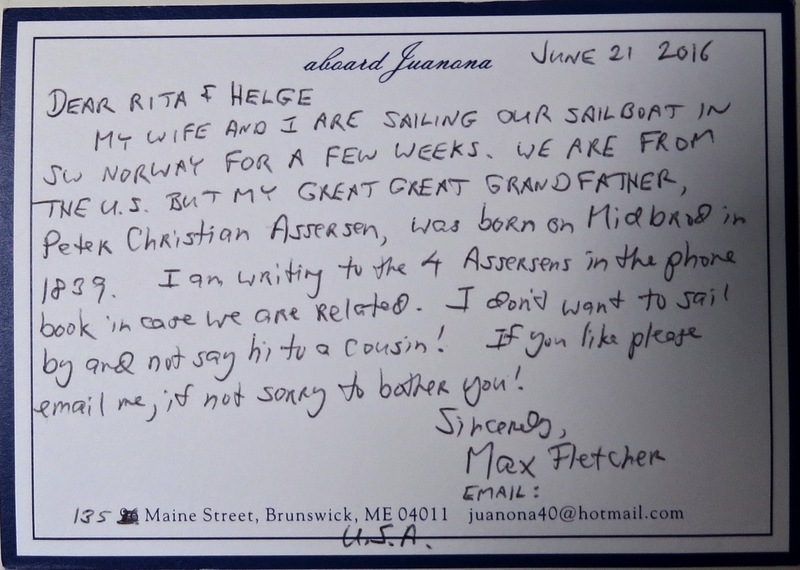 Our last day in Norway turned out to be another amazing adventure; and, it all began with a simple postcard…. 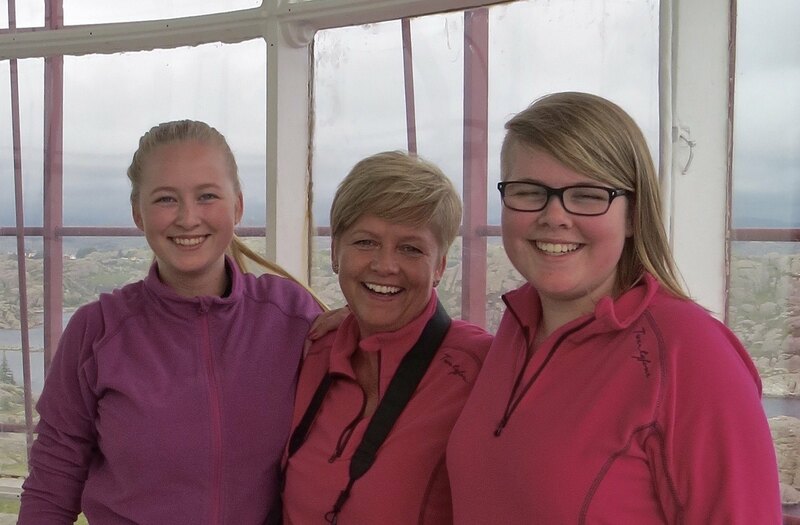 Where do I start to describe how lovely is the family we met in Norway. Just spectacular folks. To briefly recap the Geneology, our great-great-grandfather Peter Christian Assersen (PCA) was born on the island of Midbrod on the SW coast of Norway. The last of twelve children, he left home fairly young and made his way to the US. 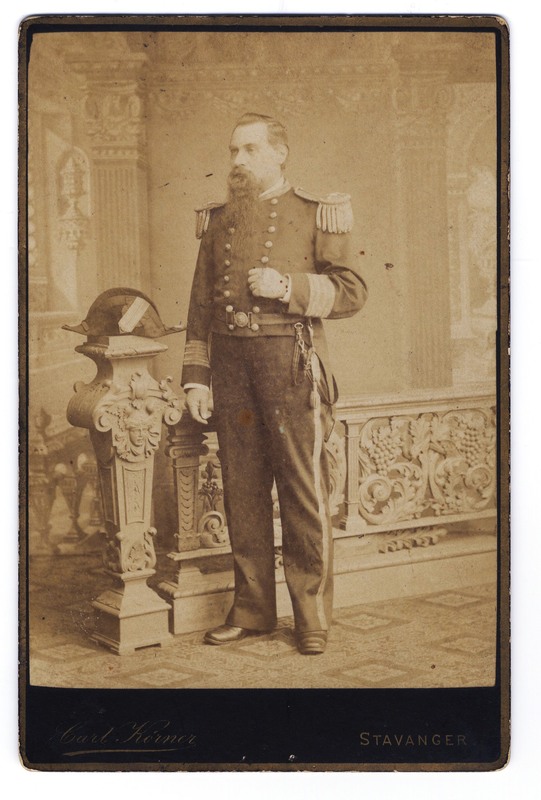 He eventually became a Rear Admiral in the US Navy. But he never forgot his roots, and anytime a friend from Norway visited him in the US, he always asked about his family back home, and about an old girlfriend he once had, and always asked whether a teetering rock they had tried to roll down the mountain was still there. PCA’s parents were Malene Rasmusdatter and Asser Johannessen (hence Peter took the last name “Asser-son though it’s spelled -sen here in Norway. And Malene’s father was named Rasmus Christensen, hence her last name Rasmusdatter – Rasmus’ daughter. To add further context, people sometimes took the name of the farm or island where they lived). There is quite a story about Malene – an adopted daughter – not marrying her foster brother as was the wish of the significant people in her life. Instead she blazed her own trail. (A trait that seems to run in the family!) Malena lived to age 102. 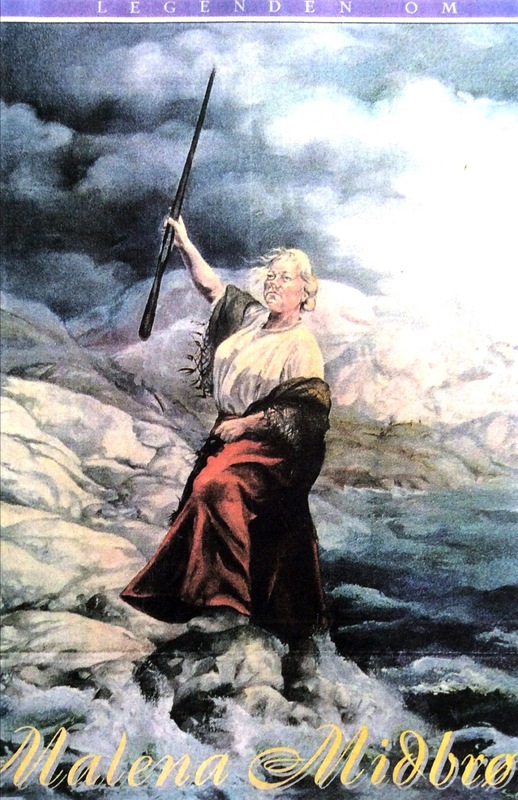 A “Malena Midbrod” is portrayed in a 1998 magazine article standing on the seashore holding a rifle with an accompanying article describing her heroics in the Napoleanic Wars. 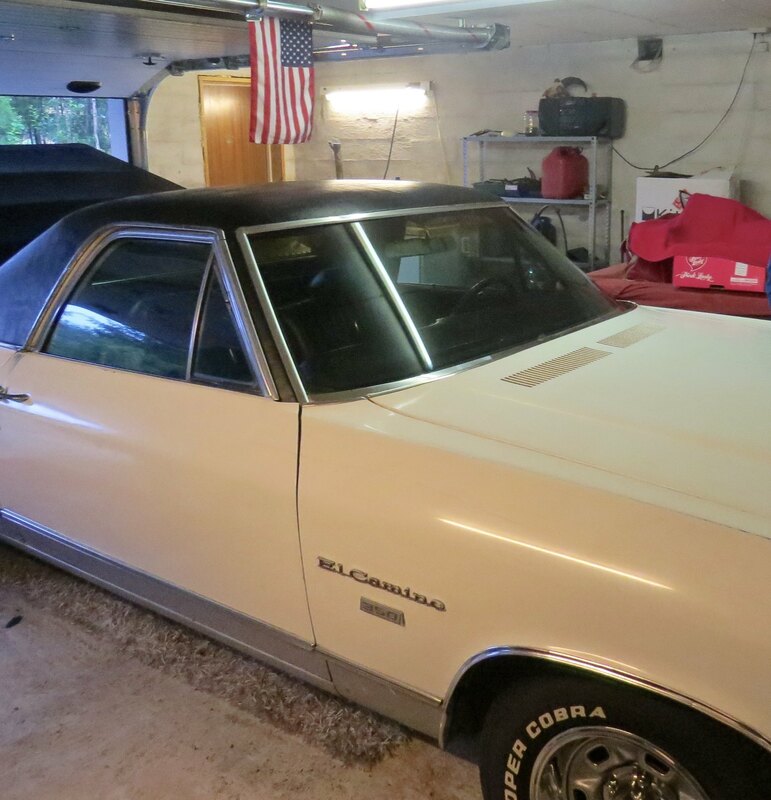 It’s not clear if this is PCA’s mother or grandmother, but it is definitely one of the family according to the local historian who wrote the article. In the early 1800s Norway got dragged into these wars. The Norwegians captured a British ship which was full of valuable rope and tar, and hid it amongst the islands around Midbrod. The British sent a powerful gunship to rescue it, but the English ship was too big for the shallow channels. So they sent their troops ashore in smaller boats. Many of the Midbrod men were out fishing, but Malena rallied enough of a force to take on the British troops and send them packing. So there is a Joan of Arc in the family (The article is in Norwegian so hopefully we’ll get it translated one day). PCA had a daughter also named Malene, who married William B. Fletcher (who also became a Rear Admiral). He is my great-grandfather; Lynnie and I live in the house he purchased in the 1920s; and we named our boat “Juanona” after the gaff-rigged sloop he sailed for 30 or 40 years and which I sailed on as a young boy. It makes PCA seem not that very distant. Fast forward to the last few weeks. 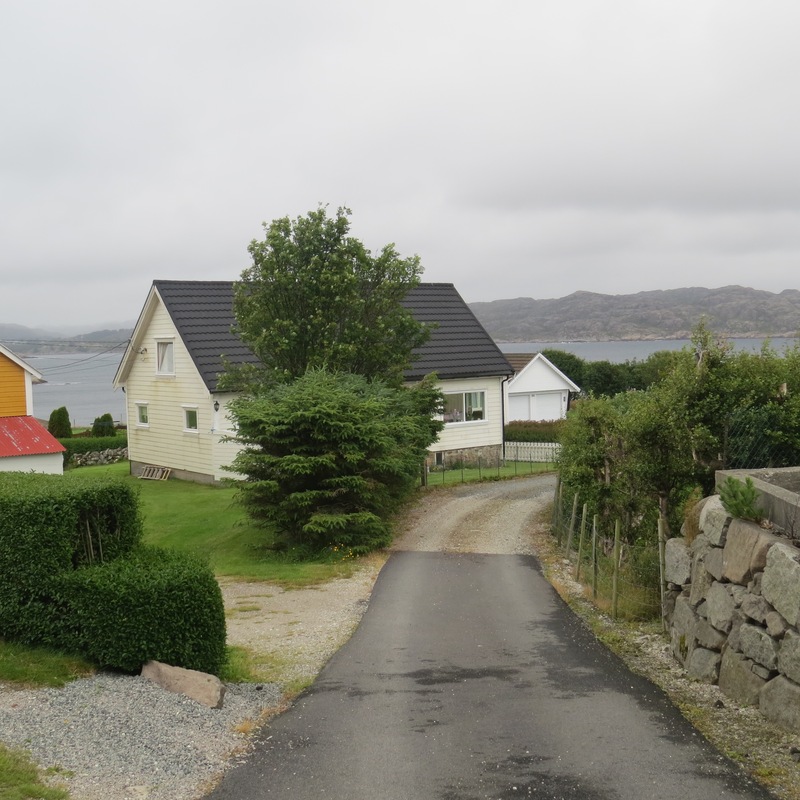 Lynnie and I have just sailed from Holland to Norway, making landfall at Egersund, a town on the SW coast. I knew PCA was born on the nearby island of Midbrod and nothing else. Lynnie and I go to the local town office to see what we could find out about his life. The woman there sends us to the old church, thinking they might have some records. Their records didn’t go back far enough, but the woman graciously prints out the names and addresses of the four Assersens in the phone book. We send four postcards, and lo and behold got a nice email back from one of the four. They weren’t related to us, but their daughter married someone who was. By then Lynnie and I had sailed further north, but we started communicating with the cousins and made plans to meet on our way back through. It was with considerable excitement that we awaited the family last Tuesday (July 12). They arrived aboard “Juanona” with a tray of gingerbread and within ten minutes it felt like we had known them well, pretty much forever. Our first stop was to see the Lundardviken beach, where Malena had gone to clear her head after being thrown out of the family for failing to marry her foster brother as was the wish of her foster parents (they were their only children, and marrying each other would have preserved the family house and given each child some economic security). 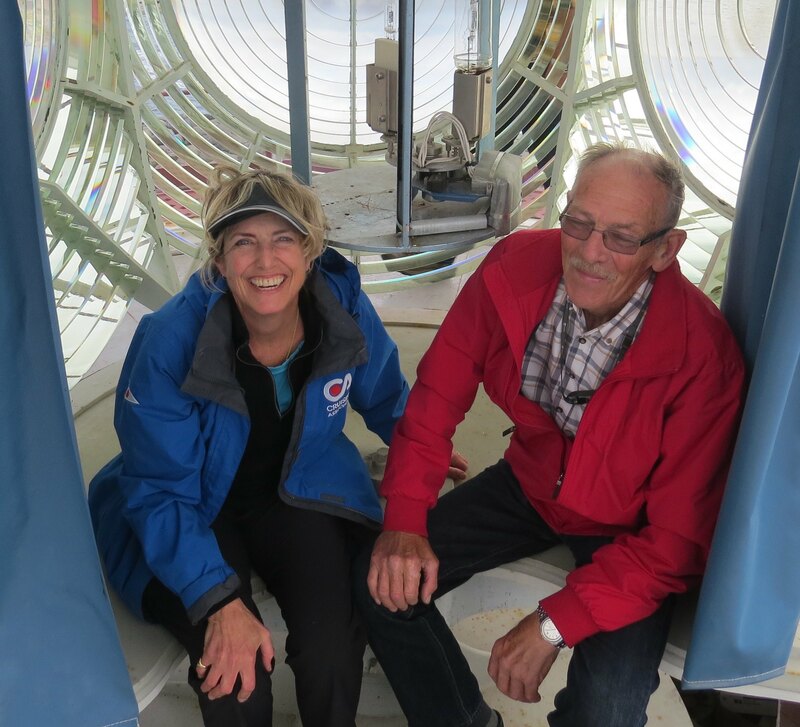 Next we met up with Bjorn’s father, 78 year old Oddbjorn Skadberg, a most wonderful gentleman who still fishes and occasionally tends the lighthouse, and who remembers a lot of the family history. 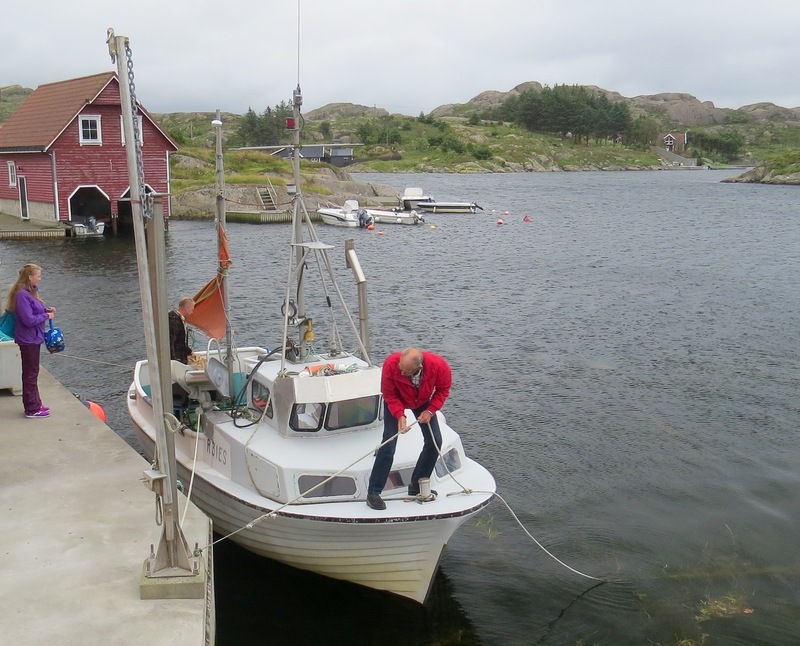 Oddbjorn has done winter fishing in the Lofotens, north of the Arctic Circle, where he sometimes had to sleep in his boat with no heat, and otherwise impresses me as someone with a toughness that you don’t find much anymore – but with a very gentle soul. He and I share a common grandmother five generations back. 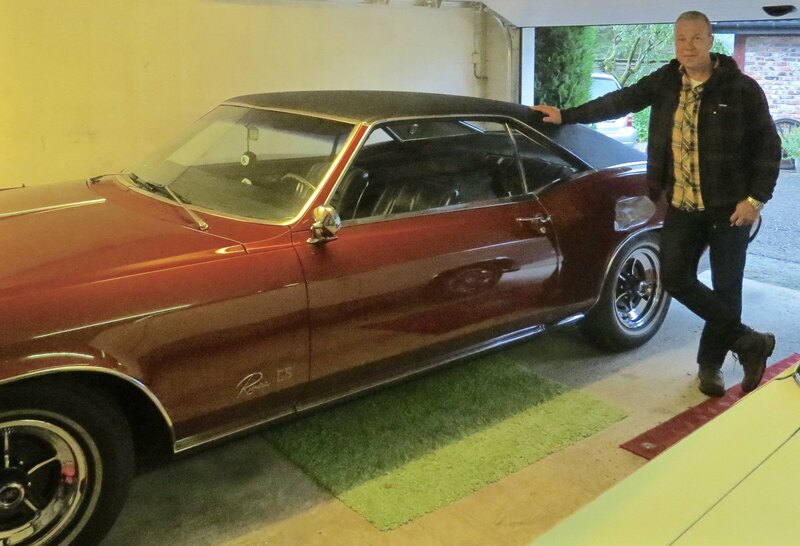 We drove to the lot where the PCA’s childhood house once stood. And then to the house where PCA’s mother lived with her foster parents, and from which she was thrown out. Incidentally, Midbrod Island is stunning, and it’s a Unesco geological park as it contains the same rock as is found on the moon. This hill, named Lunnarviken after the rock, was PCA’s childhood playground. 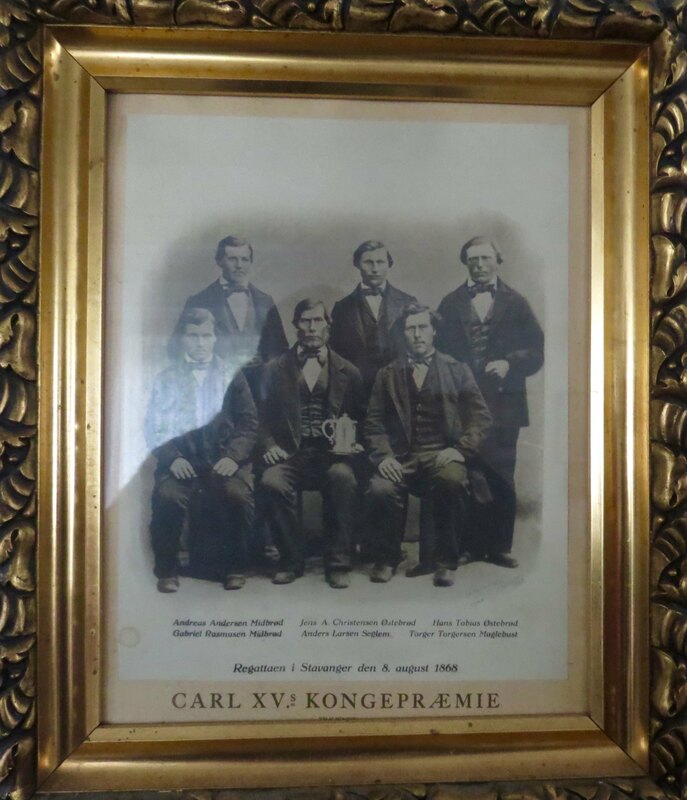 Next we went to a house now owned by Tonnes Tonnesen, who is another cousin. The house has been in the family since the 1600s and it could be a museum, with many original artifacts, as well as being chock full of maritime photos and memorabilia. One picture shows one of our ancestors (in the lower right) and the crew from a rowing race. They had to row all the way from Midbrod to Bergen, a distance of about 130 miles, just to get to the starting line. They then proceeded to win the race, from Bergen to Haugesund, something like 65 miles. I don’t think they were rowing modern, lightweight shells. Like I said, people grow up tough around here! Unbeknownst to us Bjorn and Sylvie and OddBjorn had planned a picnic. But first we took a trip in Oddbjorn’s fishing boat – the same one he had shipped on a freight train to the Lofoten fishing grounds. We visited the lighthouse, completed in 1854, that young PCA had helped haul the bricks for. You can’t imagine how many bricks it would take to build this, and then the whole thing was encased in a protective cast iron frame. The winter storms are brutal around here, but it looks like this lighthouse will stand for many more years. 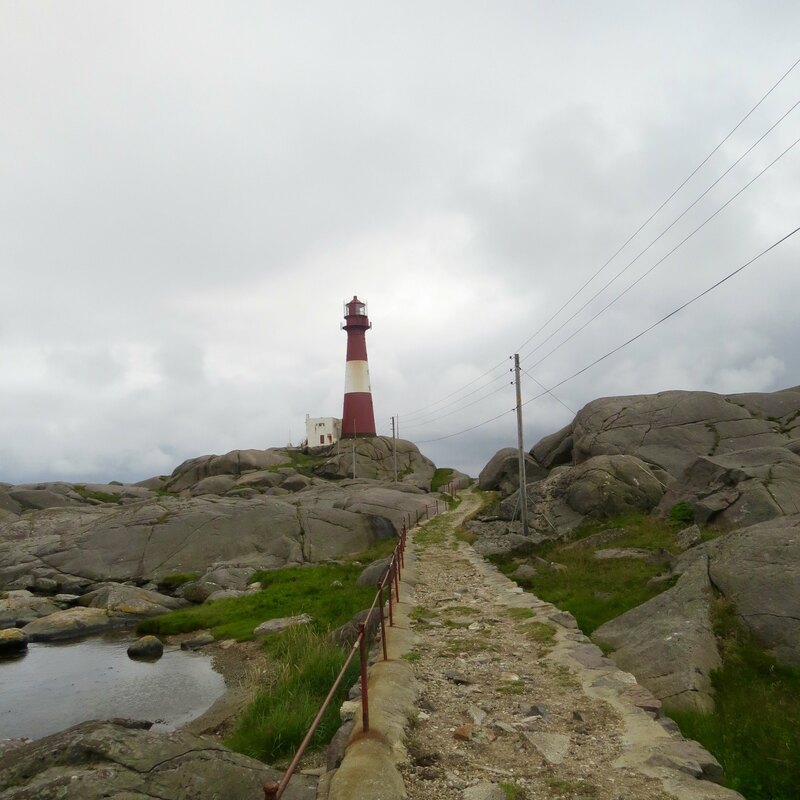 Oddbjorn has served as lighthouse keeper on occasion, and had a key to let us inside. Climbing the steps you pass by a small window with a long vertical shaft leading far below. Before electricity the lighthouse keeper had to manually wind up a mechanism to keep the light turning – like a giant grandfather clock. At the top we found not only magnificent views, but we got a ride on the turning light itself. 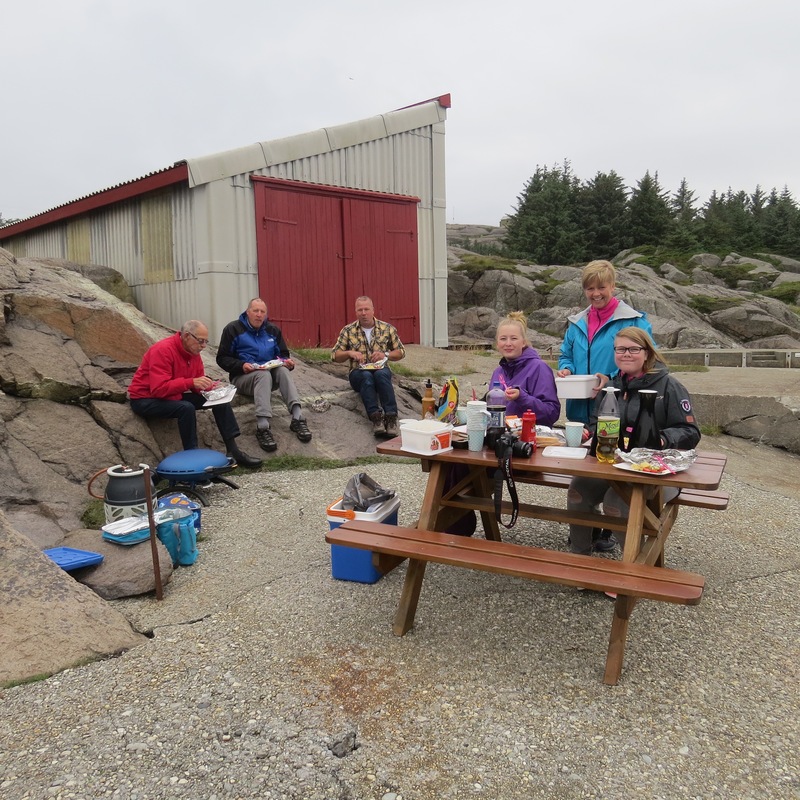 Next was a cookout with hot dogs, lamb, and salmon caught that day by Oddbjorn and finely seasoned by Sylvie. The two daughters are Antonia (L) and Kelly (R). Antonia is about to enter senior year and hopes to study geology. Kelly is a few years younger, and both are lovely young women. 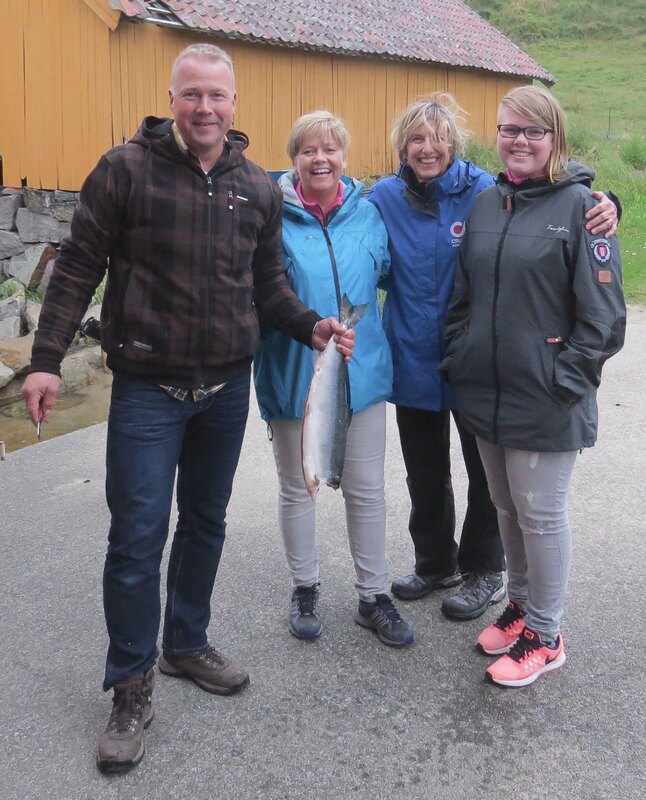 We also learned that Oddbjorn was giving us another salmon for our upcoming passage to Holland. We ended the day at their lovely home north of Egersund, where Bjorn has a couple antique cars in very good condition. Finally, this area being blessed with fertile soil, fresh water, and easy access to the ocean, it became an important Viking stronghold. Right across the street from their house is a field still known as “Fighting Island.” Vikings sometimes settled disputes by tying the arms of two warriors together, giving them each a weapon in the other hand and letting them go at it. 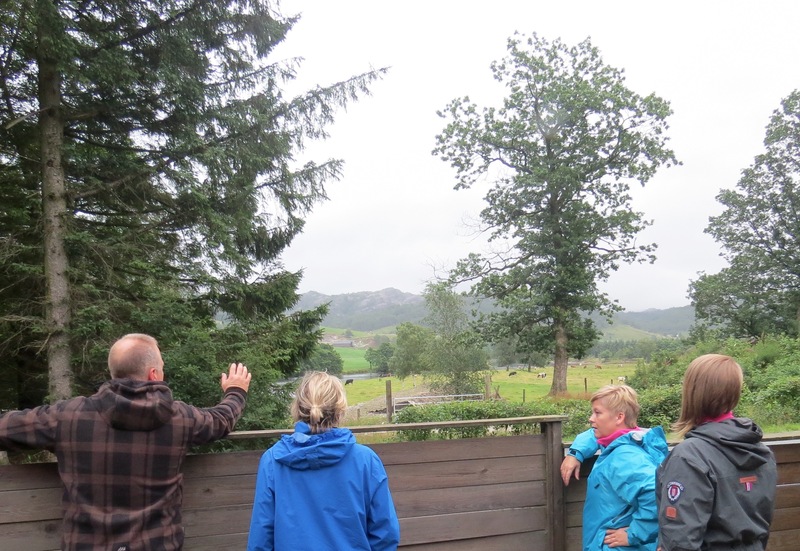 There are Viking remnants all over the place, including a nearby site only recently discovered – with large fire pits suggesting an important gathering place for the Vikings. 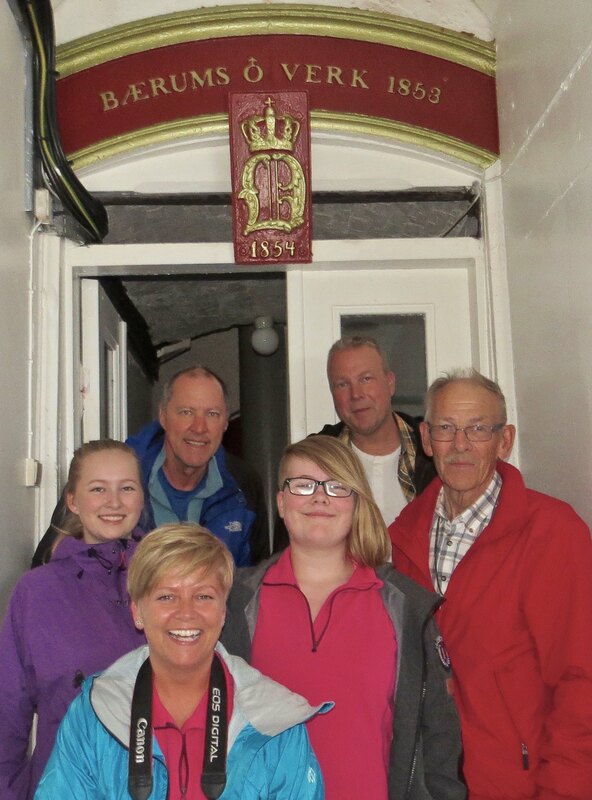 I can’t begin to tell you how special it was to make this connection with our Norwegian family. 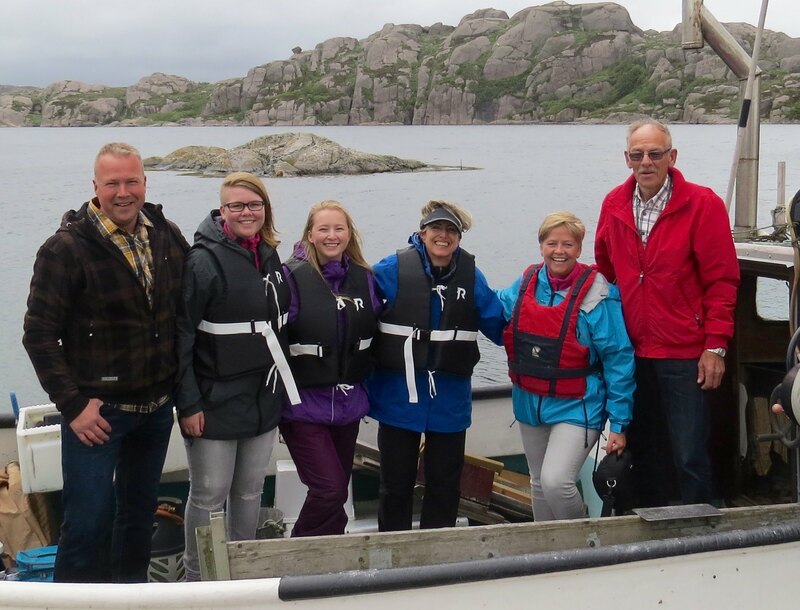 Lynnie and I will almost certainly be sailing back to Norway next summer, so will be seeing them again. And we are hoping to host them in the US anytime they are there. All I can say is thank you to everyone who has befriended two American sailors with such warmth. How can we not fall in love with your countries? This entry was posted in 2016 07 NORWAY - South, 2016 Summer Cruising, COUNTRY, Europe, Norway, SUMMER CRUISING on July 28, 2016 by margaretlynnie. Your distant cousins..do show some resemblances!..getting to see the lighthouse and homes ..and I love the idea of the moon rocks..for a playground! !…lastly..I scrolled down to the old picture of the rowing crew..(man! Do they look tough!) and spied the bottom right fellow..as having a familiar look about him…and was happy to see when I read on that indeed..he was the one!..fun fun fun..so happy for you both!